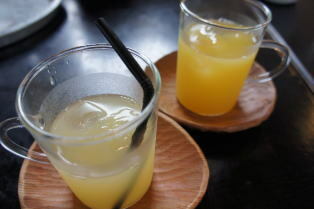 Jusu ('ジュース', is classified into beverage), is known as Juice in English, and 果汁 (Guǒzhī) in Chinese. Tasty (Sweet, Bitter, Sour, or Astringent). Cold, Moderate, Warm and Hot.